Now that the Final Four is set, our writers have put together a fact sheet on each of the four teams still remaining. First, #11 Loyola-Chicago, from the South Region. South Region Champions. In arguably the most chaotic region ever, the Missouri Valley Champion emerged as this NCAA Tournament’s team of destiny. The Ramblers began their unexpected run with a buzzer-beating victory over #6 Miami (FL), followed by an equally dramatic takedown of #3 Tennessee in the Round of 32. 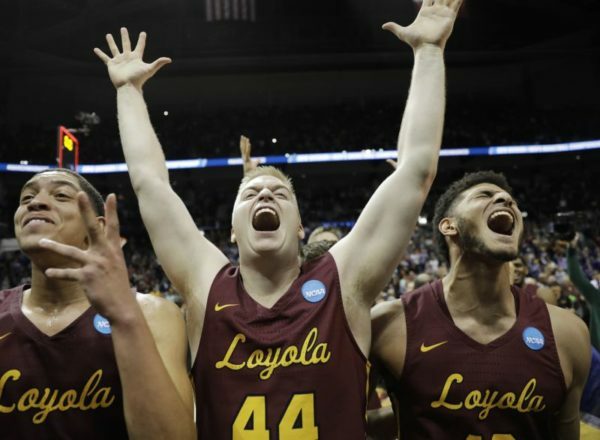 After edging #7 Nevada by a single point in the Sweet Sixteen — its third straight win by two points or fewer — Loyola shot 50 percent from behind the arc en route to a lopsided win over #9 Kansas State on Saturday. 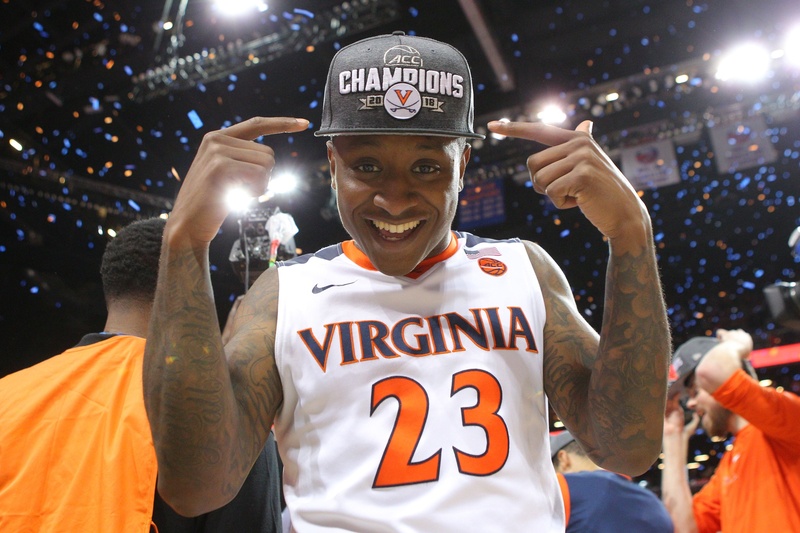 The Ramblers now join LSU (1986), George Mason (2006) and VCU (2011) as the only #11 seeds to reach the Final Four in NCAA Tournament history, a remarkable feat for a program that went 7-23 in the Horizon League just six seasons ago. Porter Moser. After middling coaching stints with Arkansas-Little Rock (2000-03) and Illinois State (2003-07), Moser took over a Loyola program in 2011 with just one 20-win season on its record since 1985. In a matter of just four years — including a 7-23 campaign and a move from the Horizon League to the Missouri Valley — the former Rick Majerus assistant led the Ramblers to the College Basketball Invitational title in 2014-15, their first postseason appearance in 30 years. Three seasons later, Moser has taken the program to its greatest heights since winning the National Championship in 1963. As a Majerus disciple, Moser stresses hard-nosed, meticulous team defense that’s enabled Loyola to rank among the top 20 nationally in efficiency for the first time in the KenPom era. The Ramblers do a masterful job of switching and hedging ball screens, closing out on shooters, and providing help defense near the rim, which has forced opponents into an 18.3 second average possession length this season — the longest of any remaining NCAA Tournament team. Offensively, Loyola runs a four-out, one-in system predicated on quick ball-movement, good floor spacing and versatile personnel. In Moser’s system, all four perimeter players should be able to dribble-drive and knock down perimeter shots, while the lone paint presence — often Cameron Krutwig — is expected to be a capable post passer. Among the slower-paced offenses in the country, Loyola works patiently to find the best possible shot on each trip. Michigan didn’t look like the tired team. If you asked a neutral observer with no knowledge of prior events which of these two teams had played four games in four days, the answer probably would have been Wisconsin. In the first 10 minutes of the second half, however — a time when you might expect Michigan’s weariness to show — the Wolverines went on a 13-4 run while the Badgers sputtered. During that stretch, Wisconsin shot 1-of-10 from the field and committed five turnovers. It helped Michigan open up the lead that carried them to victory. Zak Irvin showed up huge. The Michigan senior was hyped during the team’s warmups and he delivered a magnificent performance to back up his talk. Irvin finished with 15 points, seven rebounds and five assists, including a backbreaking three-pointer with 5:46 remaining. Irvin’s three followed a five-point Wisconsin run that forced a John Beilein timeout and briefly quieted the largely pro-Michigan crowd. The scary thing about the Wolverines is that they have so many pieces who can heat up in a hurry. Irvin came up big for them today. This was not Ethan Happ’s best day. Early on in conference play, Happ looked like a serious contender for Big Ten Player of the Year, but Happ’s candidacy went with it as the Badgers suffered a late season slide. The Wisconsin sophomore is a great talent who does a bit of everything, but Sunday simply wasn’t his day. Happ ended up with a double-double (14 points, 11 rebounds), but really struggled to score efficiently around the rim. He finished 6-of-16 from the field and most of his misses came in the paint. Star of the Game: Derrick Walton Jr., Michigan. Irvin was excellent, but so was Walton for the second day in a row. The senior finished with 22 points, seven assists, six rebounds and two steals en route to the tournament title. Walton was once again terrific in directing traffic and if anyone leads the Wolverines on a March run, it will be him. Good offense beats out good defense once again. With 12:17 remaining in the second half and the score tied 55-55, Michigan’s Duncan Robinson caught a pass in the left corner, took one shuffle dribble to his right, and rose up to drain a three-pointer over a pair of Minnesota defenders. Robinson’s three was significant not only because Minnesota was unable to close the gap again after it went down, but because it was the latest remainder that in college hoops, good offense beats good defense. The Gophers came into the game with a top 15 defense based on adjusted efficiency, but Michigan’s top 10 offense was simply too good in getting to its desired spots and knocking down shots when the ball got there. 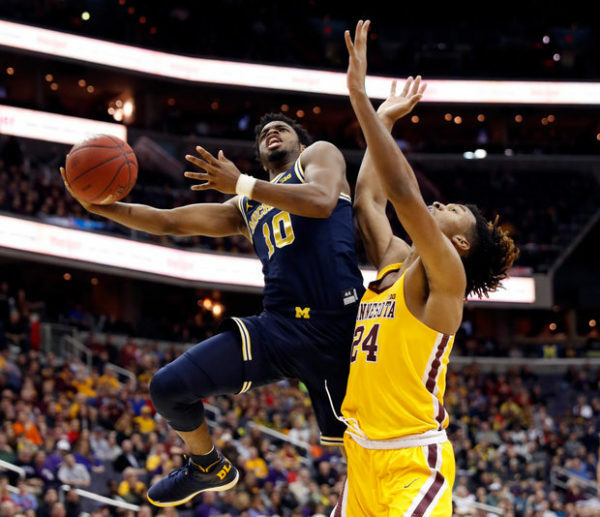 Derrick Walton, Jr. can help carry Michigan in March. If there’s one March mantra that always seems to come true, it’s that good guard play is imperative to a deep run in the NCAA Tournament. Well, Walton could be the latest senior point guard to add his name to a long line of those who have carried their teams into the second weekend and perhaps beyond. Walton was methodical, frequently directing traffic while calling for ball screens to attack Minnesota’s defense, en route to 29 points. He made sure to let the Gophers know about it, too, by talking trash on his way back down the floor. The Wolverines’ interior defense may still prove to be a problem. For as good as Michigan’s offense can look, its defense does not. For the second straight day, the Wolverines struggled to stop a team inside the arc. Michigan frequently gave up dribble penetration that often resulted in layups or dump-off passes for easy baskets. Minnesota center Reggie Lynch also had a field day, scoring 12 points on 6-of-7 shooting from the field. Add in 15 offensive rebounds for the Gophers and it’s easy to find the thing that could doom the Wolverines in a single-elimination tournament. It just wasn’t enough today. Star of the Game: This award pretty easily goes to Michigan’s Derrick Walton. In addition to 29 points, he added nine assists and five rebounds. As Walton shot a couple of free throws near the end of the game, one Michigan fan hollered, “That’s the best point guard in the Big Ten right there.” With Maryland at home, there was nobody left to dispute his claim. On Saturday, Indiana lost its final non-conference match-up to Georgetown in Madison Square Garden. In the second half, the game became a duel between two former teammates and Indianapolis natives, the Hoosiers’ Yogi Ferrell and the Hoyas’ D’Vauntes Smith-Rivera. Ferrell scored a team-high 27 points, including two three-pointers that helped the Hoosiers tie the game and send it to overtime. As Zach Osterman explains, there is no shame in losing to Georgetown on a neutral site — the disappointment stems from what would have been gained with a win. A win over a good Big East team would not only have given Indiana a big boost going into its conference schedule, but also earned them their first resume win and mitigated some of the stain from their bad loss to Eastern Washington. Now, the Hoosiers will have to overperform in Big Ten play in order to earn an NCAA bid. 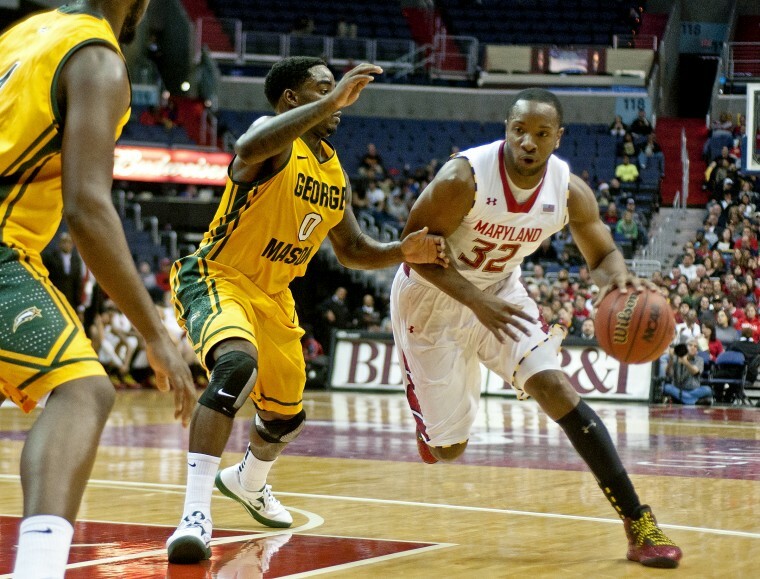 This weekend we also saw the return of Dez Wells when Maryland defeated Oakland. After missing five games with a wrist injury, Wells did not get the start but played 22 minutes, chipping in 10 points and four assists. The senior’s return adds to the momentum the Terrapins have built after going 12-1 in non-conference play. In Wells’ absence, Jake Layman has stepped up his production, emerging as a legitimate scoring option for Maryland; combine that with the standout play of freshman stud Melo Trimble and a healthy Wells and Evan Smotrycz, and Mark Turgeon now has a wealth of talent with which to develop his new rotation, shaping up Maryland to be a force in its first season in the Big Ten. The slate of Saturday games also included Minnesota’s convincing win against UNC-Wilmington. This was the Golden Gophers’ eighth victory in a row, and it caps off a nice finish to their non-conference schedule after starting 3-2 — they’re now 11-2 with losses only to Louisville and St. John’s (both in KenPom’s top 20). Richard Pitino’s pressure defense has once again been a big part of their success (defensive turnover rate of 28.0 percent, third in the country), but it’s their ability to share the ball that has really boosted the offense and overall play, as evidenced by the 66.2 percent of field goals made that come off of assists (fifth nationally). Minnesota will see if its collegial philosophy on offense will translate to a step up in competition when it starts Big Ten play Wednesday at Purdue. Now that the non-conference schedule season has wrapped up, it’s worth reviewing what has happened in the season thus far. We will have some look-back posts coming up here on the microsite, but the MaizeNBrew blog from SB Nation has compiled a pretty comprehensive version of its non-conference awards. Wisconsin was honored as the Best Team, while Northwestern shamefully beat out Rutgers to be named the Worst Team. Additionally, the Badgers’ Frank Kaminsky was awarded midseason MVP, Ohio State’s D’Angelo Russell was Best Freshman, Maryland’s Jake Layman was Most Improved, Wisconsin/Duke was the best game of the non-conference season, Iowa over North Carolina was deemed the Best Win, and Michigan’s infamous defeat to NJIT was identified as the Worst Loss. There are many, many more awards in the article, and it serves as a good recap of the early part of the season for the Big Ten. Finally, fans have been grasping at straws to make sense of the “mushy middle”of this year’s Big Ten. It seems as if there is not much daylight between teams unless your name is Wisconsin (for good reason) or Northwestern and Rutgers (for not-so-good reasons). If you’re looking for some clarity, Jeff from the BasketballPredictions blog has updated his bracketology predictions to include Saturday’s results. His predictions and seedings reflect what he expects to occur by the end of the season. In it, he has eight Big Ten teams making the Dance: Wisconsin (#1 seed), Ohio State (#4), Maryland (#7), Illinois (#7), Iowa (#8), Michigan State (#9), Michigan (#11), and Minnesota (#12). This leaves out bubble-hopefuls Penn State (and their 12-1 record), Indiana, Nebraska and Purdue. These predictions seem to highlight how much uncertainty there is with any team’s record and/or performance in the non-conference, and that we’ll likely have a slugfest in the conference all season long for those precious NCAA Tournament bids. There are two exciting months of Big Ten play coming our way that will sort all of this out. Get excited! Michigan has had as bad a week as you could have after consecutive losses to inferior opponents, first to NJIT on Sunday followed by Eastern Michigan on Wednesday. Yesterday, it came out that Spike Albrecht has been dealing with an unspecified lower body injury since the offseason. This on top of the toe injury to point guard Derrick Walton. As John Beilein said, “when your two point guards are banged up, it could impact you.” Albrecht says he’s been playing through the pain all season and it has not affected his play, but Wolverines fans must hope that’s the case because things won’t get easier for them as they face Arizona in Tucson Saturday. If Michigan had the worst week, Nebraska may be a close runner-up after they dropped a home game to Incarnate Word on Wednesday, losing 73-74. The Cornhuskers were shorthanded against the Cardinals as senior Moses Abraham did not play due to a broken hand suffered in practice the day before. Nebraska now has three losses on the season, including two at home which is more than they had all last season. With Terrran Pettaway and Shavon Shields already carrying a disproportionate amount of the scoring, losing an experienced big man like Abraham is only going to put more stress on them. They’ll need to figure out how to remedy their offense quick, as Cincinnati and their Top 40 defense come into town this weekend. Over on the east coast, Maryland is also going through its own health issues with two of their starters, Dez Wells and Evan Smotrycz, out for an extended period of time. Unlike the Cornhuskers, the Terrapins have been able to navigate through their injuries due to the excellent play of their freshman point guard, Melo Trimble. One of the best traits of the first-year player is his ability to get to the free throw line. On Wednesday’s 67-56 win over North Carolina Central, Trimble was perfect from the free throw line and scored eight of his total twelve points from the charity stripe. It’s his ability to generate points even during an off-shooting night that makes him so valuable and keeps this Maryland team afloat despite injuries to key personnel. On Tuesday, Indiana lost 74-94 to Louisville in large part due to their poor rebounding – the Cardinals out rebounded the Hoosiers 52 to 34, which includes grabbing 26 offensive rebounds. Indiana has been dealing with their deficiencies in rebounding since the loss of Noah Vonleh to the NBA Draft during the offseason. As Tom Crean and company contemplate how to fix their rebounding woes, an obvious starting point would be for the lone true big man in the starting lineup, Hanner Mosquera-Perrea, to be more consistent in his effort to grab boards. Indiana still has challenging opponents in its non-conference schedule, such as Georgetown, and they’ll need to improve their rebounding performance, otherwise they’ll be relying on getting hot from the three point line to win games. Finally, Ohio State may have found another offensive weapon on their roster with the impressive performance of Kam Williams in their 97-43 win over High Point. The freshman guard scored a career-high 23 points on 8-of-10 shooting including 4 three pointers. The Buckeyes already have an arsenal of weapons with D’Angelo Russell, Marc Loving, and Sam Thompson. So, Thad Matta won’t need a scoring output like this from Williams every night, but it must be nice to know that he has another potential high-scoring wing waiting on his bench. We continue our preseason Big Ten rankings today with spots #9 through #5. The bottom tier of teams, #14 to #10, released earlier this week. These middle tier teams will be fighting to be on the right side of the bubble — and providing us with great drama — all season long. What they do well: Defense. Mark Turgeon has had a top 40 squad in adjusted defensive efficiency the past couple seasons and it’ll likely be his area of focus once again. What they don’t do well: Retention. Seth Allen, Charles Mitchell, Nick Faust, Roddy Peters and Shaquille Cleare all transferred out of the program in the offseason — not exactly inconsequential players. Get to know: Melo Trimble. The top 40 recruit will need to use his offensive skill set to help replace all the lost scoring from last season. Why they’ll finish 9th: The exodus of key players and unfamiliarity in the Big Ten will cause some very sharp growing pains for the Terrapins. Why they’ll finish higher: This team still has talent and is used to playing top-notch competition. If they can get all their new pieces to gel together, they can compete in a relatively down Big Ten. What they do well: Offense. Last season, the Hawkeyes were fifth nationally in adjusted offensive efficiency and they bring a majority of that roster back this year. What they don’t do well: Mental toughness. 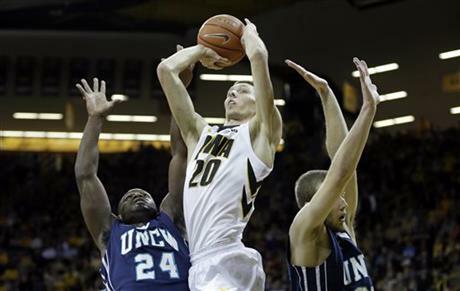 Last season, Iowa wilted in close games against Villanova and Iowa State. Things really spiraled out of control at the end of the season when they lost seven of their last eight contests. To close out the season for good, we’re finishing our official Big Ten grades with the four top tier teams: Michigan, Wisconsin, Michigan State, and Nebraska. Yes, take that in one last time — Nebraska ended the season in the top four of the standings in the best conference in the country. For our previously-published grades on the eight other teams in the Big Ten, here are Part I and Part II. This season (28-9,15-3): Last year, Michigan broke through to make it all the way to the National Championship game. And while that was an impressive run, the coaching job that John Beilein did this season — leading the Wolverines to their first outright B1G title since 1986, and finishing just one play from another Final Four appearance — may be even more impressive. It’s important to note where this program was two years ago to fully appreciate the leap that Beilein has guided Michigan basketball through. 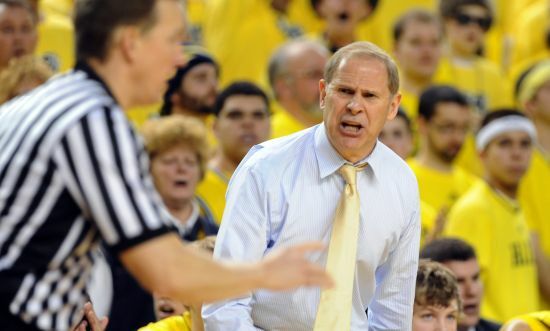 In 2012, the Wolverines hadn’t yet been able to escape the first weekend of the NCAA Tournament under his direction, and Beilein’s squads were thought of as good but not great. This season, he proved that his success was not just the product of a special player like 2013 NPOY, Trey Burke; it is fundamentally anchored in player development and buy-in from his kids. This season was a successful one by any standard and it looks like the head coach in Ann Arbor has gone and rebuilt himself an elite program in Ann Arbor. Next season: The Wolverines lose a lot of their roster: Nik Stauskas, Glenn Robinson III, Jordan Morgan, Jon Horford, and Mitch McGary. They will bring in heralded recruit Kameron Chatman with returning players like Caris Levert, Derrick Walton, Zak Irvin, and Spike Albrecht joining him. In short, Michigan loses all of its frontcourt experience and its two best backcourt players. 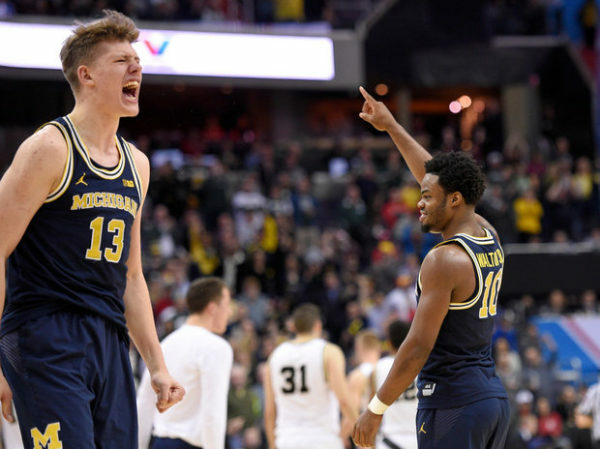 The Wolverines seemed poised to fall back a notch, but that was also the popular thought when McGary went out for the rest of this season. The bottom line is that Beilein will find a way to get this team competitive and back to the NCAA Tournament — and he has enough returning talent to get there.